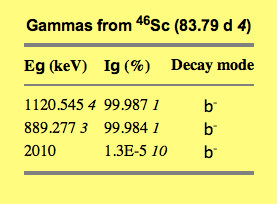 The stable isotope of Scandium is Sc-45, and Scandium 46 is a synthetic isotope of Scandium, created by neutron activation. and has a relatively long half life of 83.8 days. 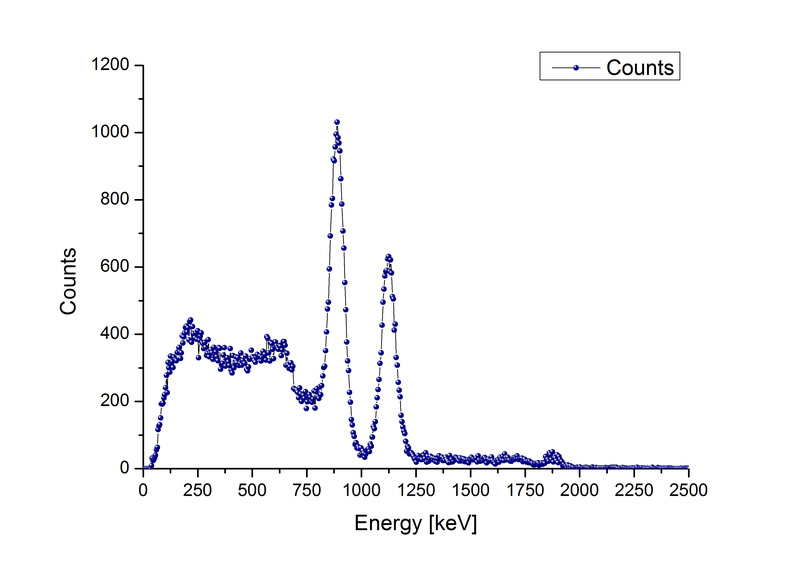 We are lucky to have received this excellent spectrum recording from Christoph Denk, as this is not such a common isotope.